There’s no show like a Dior show. 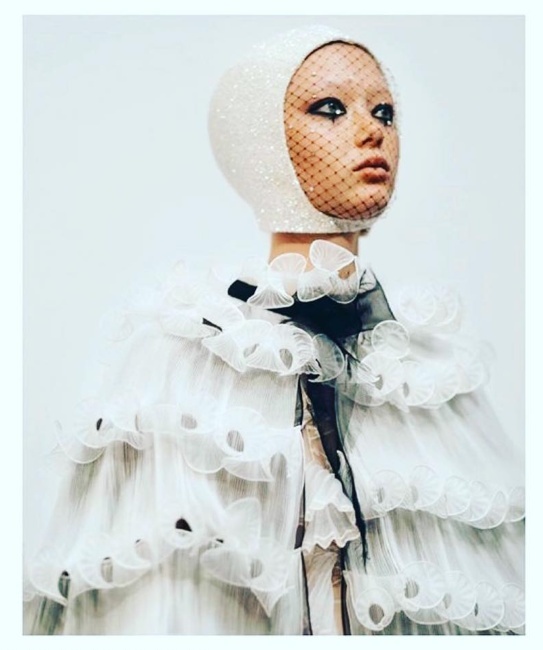 For the make-up look for Dior’s Spring Summer Haute Couture show, Maria Grazia [Chiuri] wanted something kind of punk and definitely circus. Models glistened in a natural complexion and graphic eyes with a dramatic liner. The eye make-up is one detail fashion fans can copy and enjoy without an expensive budget. Peter Philips, creative and image director for Dior makeup, created a natural makeup look to highlight the eyes of the models. Philips used three different eyeliners to develop an intense graphic look. He then smudged the liner for a punk vibe. Diorshow On Stage Liner Matte Black Pen was his main Dior tool for the show. We think he’s genius. What do you think?